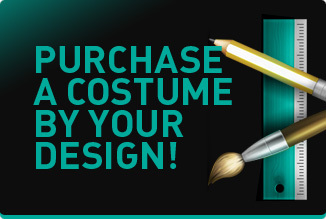 Alien light up costume | LED Clothing Studio Inc. Performance dance is all about balance and illusion. A beautiful combination of light, dark, and reflection intended to enchant and mystify your audience. If you want to make your next performance truly spectacular, luminous clothing may be just the thing you need to take your show to the next level. This alien LED light costume brings all the mystique and intrigue your audience wants in one, brilliant mix of light and dark. This suit is completely wireless, includes 1500 individual smart pixel LED bulbs and is programmable to music and can run for 2 hours. LED costumes are wearable technology that are used to create an atmosphere of mystery and lights in light shows and other LED performances. Our LED pixel outfits are created with our patented LED, EL, and FIBER OPTIC materials. Because LED light costumes are not yet mainstream in dance arts, now is the perfect time to incorporate an LED suit into your performance, whether for clubbing, active sports, music, dance, film, or fashion. We’ve worked with companies like Samsung, Audi, and Volvo as well as with individual Hollywood actors and k-pop celebrities to bring this innovative and unforgettable new art form to the world.